Hairsprays sometimes pose a fire risk because of the ingredients in the hair treatment, but more frequently the propellant from the can ignites. Flames can erupt from careless usage or from old cans that corrode. According to Chemaxx, spray cans often contain propellant chemicals that enable the spray effect. These propellants may take the form of either a liquid solution or gas held under pressure within the can. Butane and propane, two flammable chemicals often used as fuels, make up the principal propellants in these spray cans. 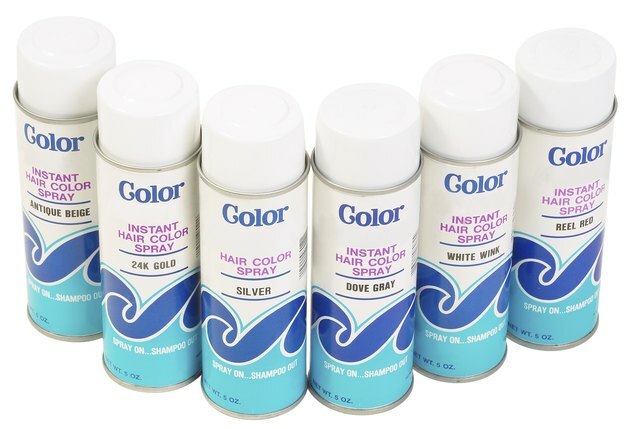 Hairsprays or other aerosols can cause fires or flash explosions if the escaping gas makes contact with any kind of nearby flame or heat source. In some cases the hair treatments themselves may also contain flammable ingredients. Chemaxx reports one case of a woman who lit a cigarette and ignited her hair, which had received a mineral-oil spray moments before. Even a stored hairspray container can explode or catch fire under certain circumstances. A corroded hairspray can, for instance, may weaken at the seams until gases leak out of it, igniting when they make contact with a heat source.